As a Google Community Local Guide, I have 1,611 photos on Google Maps (with view 26 million views). 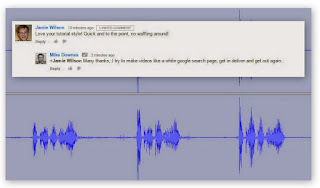 I also have 211 edits and have added 47 places. Anyone can be a local guide, find out more at the website. Part of the task is to check facts and make google maps better for everyone to use. I adopt a pay it forward ideology. This means if I want to visit a place or get a coffee, I expect the intelligence to be good. When it is not - then we get a little frustrated. 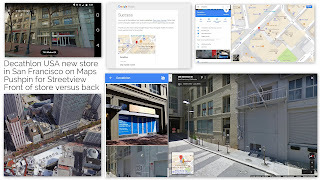 All is not lost, as there is an army of google users like me who are passionate about getting things found and shared on Maps. This usually means a few photos, a quick review and a few crafty edits. In this case, a new Decathlon Sports store is about to open in San Francisco. It will be the only one in the USA. 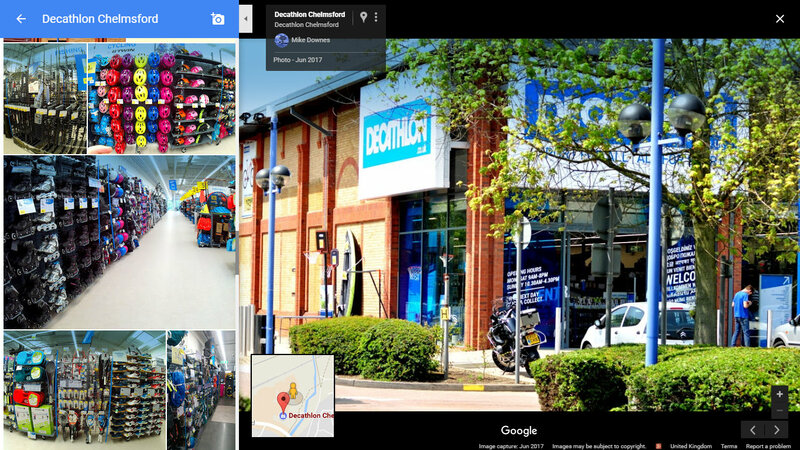 Decathlon have over a 1,170 stores worldwide. They were founded in 1976 in France (where they have around 303 stores. Of course I’ve been excited as they are expanding quickly in the UK, now with around 34 stores. I have already written a series on this site, check it out using the decathlon label. 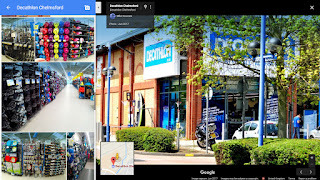 On 27 April 2017, as a local guide I created the new page on maps for Decathlon Chelmsford. The lead image taken by me now has 16,844 views and gathers 100s of views each day. I’ve also just noticed how there are 50 images - what a great way to educate future and existing customers. 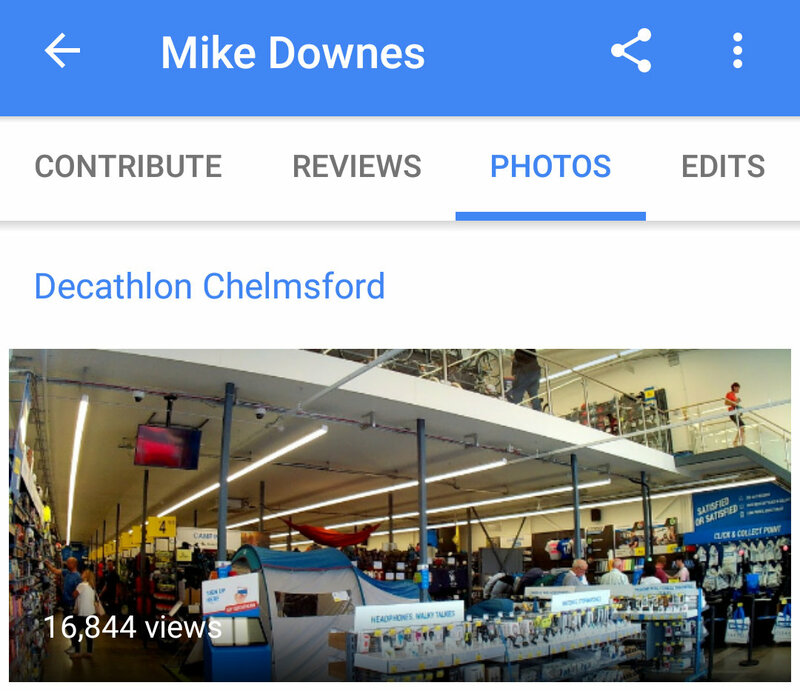 Which leads onto the new store in San Francisco which I first heard about by word of mouth from the Chelmsford Decathlon Store Manager. 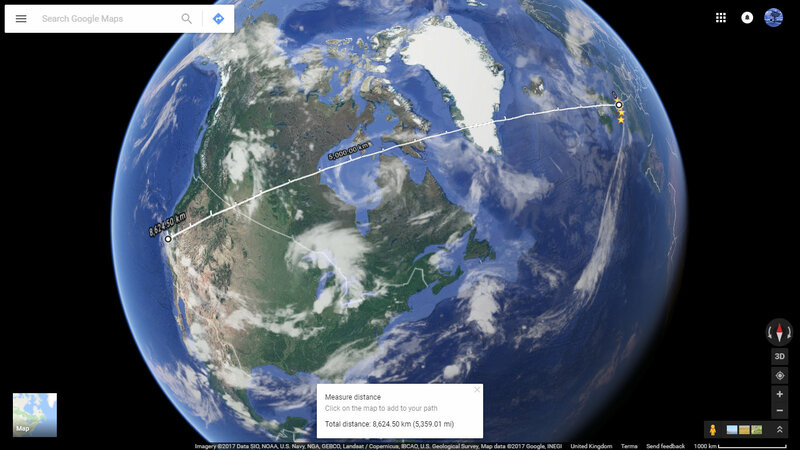 Store Front Door UK to Store Front Door USA is 5,359 miles. It would take me 11 hours on a plane, but digitally - just a click away. Which is exactly what I did checking twitter, finding @DecathlonUSA on twitter and facebook. And then a search on google finding the maps page. 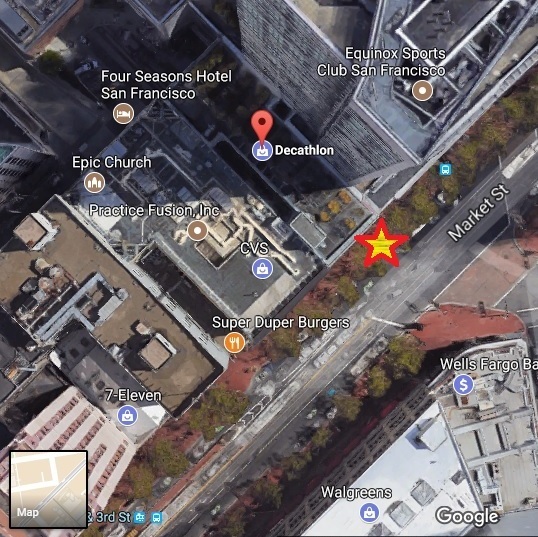 And then the fun started as the pushpin was at the centre of the address at 735 Market Street - which made street view open up at the back of the store in Stevenson Street not by the store front customer door on Market Street. 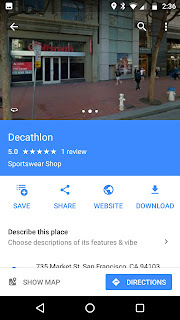 Edit - to compare, check Maps for Decathlon 735 Market Street (place page) versus 735 Market Street, San Francisco (as an address). Can you see the subtle difference? Edit 7 Aug 17 - it seems we have success, with street view now showing as front of store on market street. I suggested an edit, moving the pushpin and received an email, it was approved. I am still waiting for the streetview to changed as well --if it ever will. I hope so for all the future customers. As you will see the lead image is by another local guide, ‘Albertino M’. 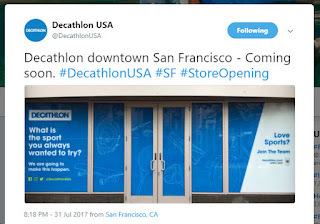 This concurs with the twitter/facebook image posted by Decathlon USA itself. Without these two images, I would be lost as to the true location of the store. It’s a fun verification game looking at photos and matching them up with images past ie the previous Golfsmith store at the same location (look at those doors, the handles, the pull sign and the nearby architecture. 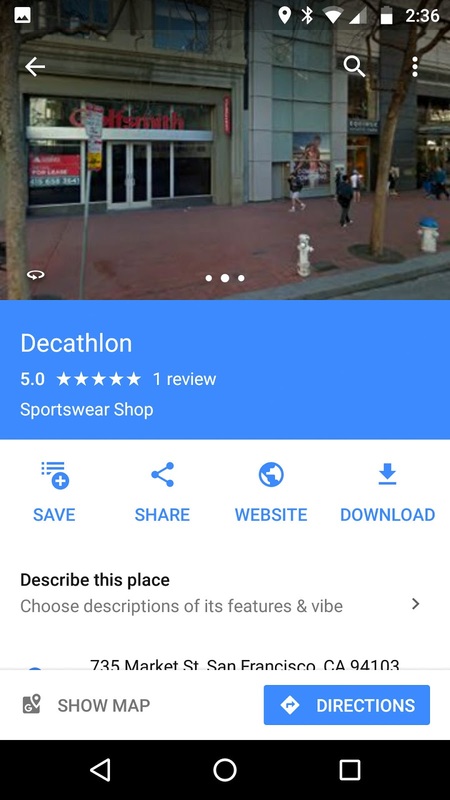 As a footnote, Google have offices in San Francisco and a headquarters in Mountain View just down the road, and as they are a sporty lot - bet they will be super interested in this new Decathlon. 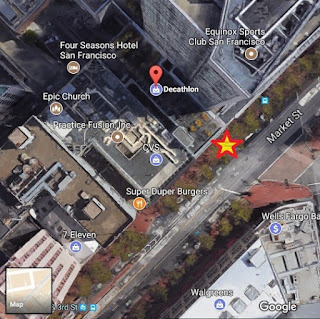 I think from memory Google Maps have googlers based at Spear Street - only an 8 minute bike ride. Spoken Word version of this Post ..